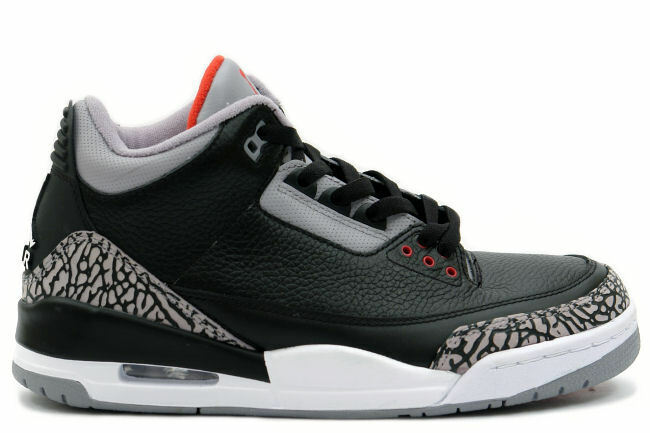 This classic Air Jordan 3 color way received a retro in 2011 and sports the familiar Black / Gray make up. The sneaker featured a Black tumbled leather upper with contrasting Gray accents on the tongue, Jumpman, eye stay, liner, elephant print, and outsole. Red can be seen on the tongue liner as well as on the Jumpman while a White midsole finishes things up.